Traffic warning signs and tapes are used for preventing accidents, warning pedestrian and vehicle traffic and channelizing traffic. Traffic safety signs are typically used by road safety management authorities for managing traffic in areas where the chances of accidents are higher. For installation of traffic safety signage and warning signs, it is important to measure the type and load of traffic in the area. A standard rule is to place a ‘closed road’ warning sign at least 500 feet before the closing line in commercial and business areas with curbs and 1000 feet in commercial and high traffic areas without curbs. In rural areas, road work traffic warning signage should be installed at least 500 feet before the repair/maintenance area. 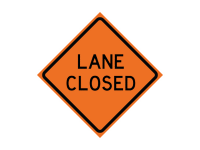 For lateral placements, the height of traffic warning signs should not be less than 5 feet. Our top-notch quality traffic safety signage and warning tapes ensures effective crowd management and traffic facilitation with reduced chances of loss, breakage or damage. 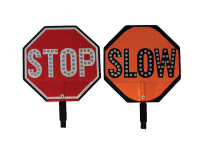 We offer traffic signs and slow paddle signs as a temporary or permanent traffic management solution. 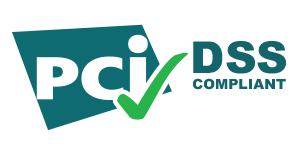 These can be deployed or installed at the required destination with a minimum of effort. For temporary deployment, we offer temporary traffic signs with roll up technology. 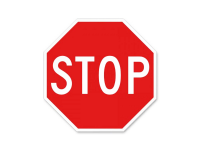 With a strong base, these signs can be installed in any area and removed whenever needed. 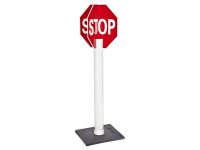 Our traffic safety tapes and banners can be fully customized in terms of color, design, and text. The tapes can be used to restrict unwanted access in the designated areas and facilitate or warn traffic of any upcoming construction sites, on-going road maintenance or renovation. Our top quality tapes come with a smooth edging for minimizing the chances of injury. All tapes offer unparalleled adhesiveness which increases their strength and holding power. Consider the purpose and quantity of traffic warning signs and tapes. If you require a cost-effective traffic and crowd management solution, look for ready-to-use signage and tapes. Customized traffic safety signs and tapes are suitable for minimizing the chances of accidents through larger fonts and reflective sheeting. In order to reduce your costs, it is important to carefully calculate the amount of traffic safety signs needed to cover a specific area. In areas with 20 mph regular speed, the tapes should be installed at minimum 115 feet distance before the hazard zone. For 30 mph speed zones, the tapes must be installed at 200 feet distance from the hazard area. With fine finishing and reflective stripes, the tapes and banners are visible from afar which makes them suitable for dark or low light conditions. Increased adhesiveness of warning tapes ensures that there are fewer chances of them pulling off. Warning signage can be used for managing crowds and traffic, and restricting unwanted access. 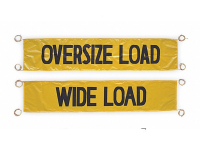 Traffic safety tape can also be customized and used for indicating danger. These can be placed on vehicles transporting heavy load or in playgrounds or pet training centers. Your traffic safety equipment is in safe hands. 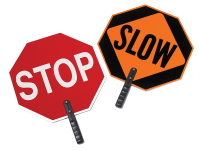 We use customized packaging for traffic safety signage posts or tapes to minimize the chances of damage or breakage.